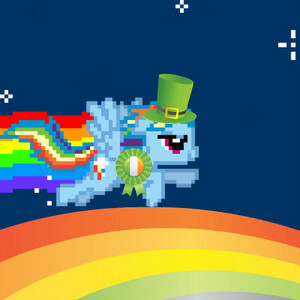 rainbowdash wins the st patricks siku reward and flys on upinde wa mvua. wow, fast dash!!! that upinde wa mvua is pretty, too!. Wallpaper and background images in the Nyan Cat club. wow, fast dash!!! that upinde wa mvua is pretty, too!